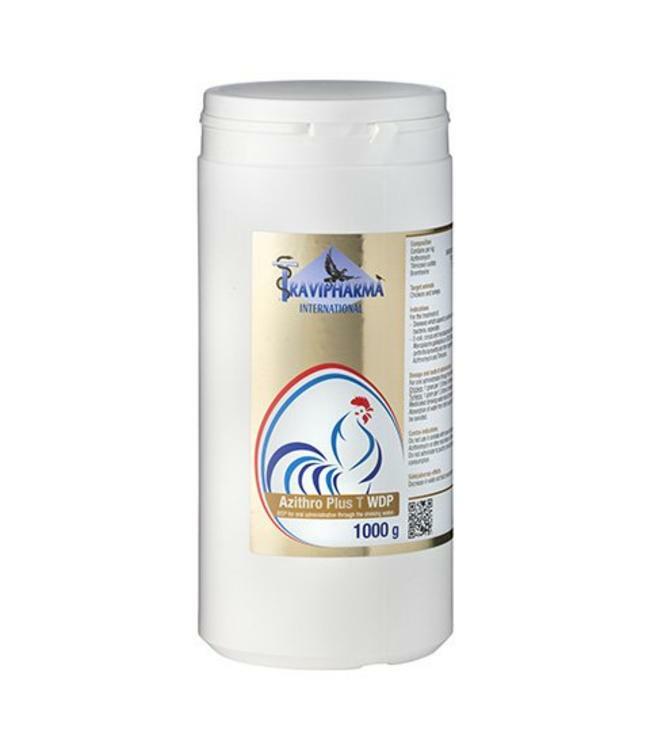 Do not use in animals with known hypersensitivity or resistance to Azithromycin, Tilmicosine, Bromhexine or other macrolides or lincosamides. Do not administer to poultry producing eggs for human consumption. Decrease in water and feed consumption may occur. Poultry:	12 days. Turkeys:	19 days. Eggs: Not permitted for use in laying birds producing eggs for human consumption. Clean the drinking pots thoroughly in order to prevent reinfection and sediment. Avoid placing drinking water in the sunlight.